I’m a little late letting you know that July is National Cell Phone Etiquette Month. Since at least 91 percent of Americans own cell phones, and 99 percent of them are used rudely, I am offering some tips. There are more than 285 million cell phones in use in the U.S. all ringing at once. Most of us experience a range of rude behaviors on a daily basis, the one transgression that seems to occur most often is accompanied by a ring tone: People talking on cell phones, in public places, in a loud or annoying manner. What is it about cell phones that make people ramp up their noise level? Eighty-seven percent of Americans in an ABC News “20/20″ survey say they encounter that kind of gabbing at least sometimes, and a majority — 57 percent — hear it often. That takes the cake for frequency; by contrast, just under four in 10 often experience generally rude or disrespectful behavior, cursing, near-cursing or people interrupting conversations to use e-mail or cell phones. If you agree that cell phone rudeness is on the rise and would like to help eradicate this growing epidemic, please spread the word about National Cell Phone Courtesy Month. Here are some helpful tips to share. Be all there. 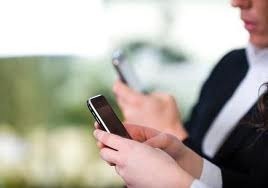 When you’re in a meeting, performance, courtroom or other busy area, let calls go to voicemail to avoid a disruption. In some instances, it’s best to put your phone on silent mode. Keep your cool. Don’t display anger during a public call. Conversations that are likely to be emotional should be held where they will not embarrass or intrude on others. Learn to vibe. Use your wireless phone’s silent or vibration settings in public places such as business meetings, religious services, schools, restaurants, theaters or sporting events so that you don’t disrupt your surroundings. 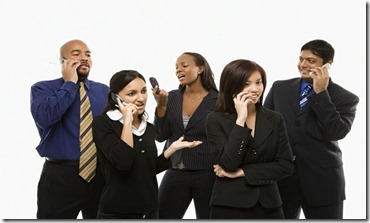 Avoid “cell yell.” Remember to use your regular conversational tone when speaking on your wireless phone. People tend to speak more loudly than normal and often don’t recognize how distracting they can be to others. Follow the rules. Some places, such as some restaurants or courtrooms, restrict or prohibit the use of mobile phones, so adhere to posted signs and instructions. Some jurisdictions may also restrict mobile phone use in public places.